Giving gifts is so much fun, but it can be so difficult to figure out what to buy for that special someone in your life. How often have you struggled to find the *perfect* gift? How many times have you kept the receipt – just in case the giftee doesn’t like it as much as you thought they would? Don’t stress – I’m here to help! This guide includes 15 gift ideas for the yarn-lover in your life. What crochter wouldn’t like a yarn-themed mug? What knitter would frown at some adorable stitch markers? With this yarn-friendly holiday gift guide, I’ve got you covered. Now all you have to do is decide which of these many great gifts to buy! Note: The gifts in this gift guide are mostly listed here with knitters and crocheters in mind – but other crafters may love them just as much! You can find it in MarkiDieux’s Etsy shop here for just $15. This is a great gift for any graphghan maker. Keep your bobbins full of yarn organized and avoid the tangled mess of projects past! The best thing? This gorgeous bobbin organizer will hold up to 48 pegs/bobbins, AND IT FOLDS, which makes it easy to store when not in use. You’re welcome. This bobbin holder (and additional pegs/bobbins) can be purchased in AndYouCameTrue’s Etsy shop here for $45. Meow-wow! These are possibly the cutest stitch markers I have ever seen. They won’t work well for crocheters (since there isn’t a way to take them off of the work), but they’re great for knitters! These stitch markers come in their very own storage tin (also adorable). They’re snag-free and super cute! Plus, you can check out CreatingWithStick’s Etsy shop and find a silver version, too! Find these totally cute stitch markers in the CreatingWithSticks Etsy shop here for just $7! Sometimes you just want to take a couple skeins of yarn with you – not a whole tote-ful! That’s where a little project bag like this comes in handy! Featuring a fun design that appeals to crocheters and knitters alike, this bag is very cute and sure to please the yarn lover in your life. Trust me, you can never have enough project bags! You can find this “Choose Your Weapon” bag in the FairAisleYarn Etsy shop here for $15.99 – a discounted prices that’s sure to expire, so get yours soon! It’s the one thing they don’t tell you about when you pick up knitting or crocheting: the stress on your hands is real. Muscle fatigue and repetitive motion injuries are very common with yarn crafts, which is why it’s important to take frequent breaks and stretch often. If that’s still not working, these compression gloves can help! For a currently discounted price of $12.35, you can buy a pair of these Stress Relief Gloves from Lion Brand Yarn over on Amazon, here. Buy this adorable platypus yarn bowl in Barruntando’s Etsy shop here for a discounted price of $36.39 – but hurry, because this discount probably won’t last! Um, who doesn’t want to be a mermaid? These Goth Mermaid Ergonomic Crochet Hooks from HarperBabyShop are simply gorgeous. They won’t actually give you tail fins and luxurious mermaid scales, but you can dream. Heck, I’m right there with you! You can find these amazing hooks in the HarperBabyShop Etsy shop here for $25. I don’t know about you, but I’m always losing my tape measures. It’s always helpful to have more than one laying about! This one from OtterlyAdorableKnits is, well, adorable! I love the colors, and the fabric design is so super cute. It’s a great addition to any crafting stash! Purchase this Retractable Measuring Tape from the OtterlyAdorableKnits Etsy shop here for just $10. That’s right: this is another craft notions pouch from MarkiDieux. I particulary love this one because of the cute – and funny! 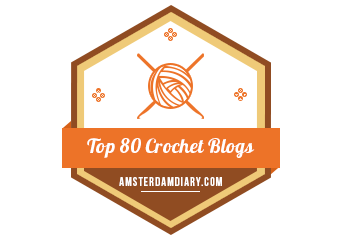 – “Crochet All Day” message! Like the succulent pouch listed as Gift Idea #1 in this guide, this pouch measures 6″ x 5″ and is simply lovely! You can find this “Crochet All Day” notions pouch in the MarkiDieux Etsy shop here for $15. Purchase this mug from the DoTakeItPersonally Etsy Shop here for $12.95! Only old people knit. FALSE. These fun stitch markers are perfect for crafters of any age – provided that they enjoy Dwight Shrute’s hilarious quips and some of Michael Scott’s best jokes! And it gets better, because you can purchase a knitter’s set or a crocheter’s set! The knit set comes with 4 ring stitch markers and 1 locking place keeper (to, you know, help you keep your place), while the crochet set comes with five locking stitch markers. They’d make perfect stocking stuffers for your favorite fiber artist! You can buy these stitch markers based on the show The Office from the Etsy shop TheBlackberryRidge, here, for $12. If you’re a regular reader, you may remember that I purchased a couple of these gorgeous hooks from Furls over the last few months. I’ve yet to do a proper review of them, but I can tell you that they are marvelous. These gorgeous ergonomic hooks are affordable, ranging from $16-$19. They are well balanced, light in the hand, warm to the touch…and did I mention gorgeous? I absolutely love my Streamline hooks, and I’m sure the crocheter in your life will, too! You can buy these hooks one at a time from the Furls website here. The prices vary based on wood type, but Furls is constantly adding more sizes to their inventory! You may have guessed, but I just love the platypus. But if that’s not your favorite, that’s okay! Crocheter SuAmi makes these incredibly detailed micro crochet figures, and they make just about any kind of animal you could want! Monkeys, elephants, foxes, snails…even narwhals! You can purchase this AH-MAZING platypus from the SuAmi Etsy shop here for $48, but I’d encourage you to check out all of the other listings in their shop. Seriously, these super tiny figures will blow your mind! For many, crocheting or knitting is a great outlet for stress. This hilarious yarn bowl captures this idea so well! This bowl is a great gift idea for the fiber artist in your life who has a little sense of humor. There are other wording options available, too, such as “I crochet because murder is wrong”, “knit happens”, and more! You can buy this bowl (or any of the differently worded options) in the CreativityHappens Etsy shop here for $39. When in doubt, the crafter in your life will always appreciate a trip to the yarn store. Why not give them a gift card or voucher? Personally, I love shopping at both Wool Warehouse (an online retailer) and JoAnns pretty equally. I enjoy shopping at JoAnns because they’re easy for me to access, and they have a pretty wide variety of yarns. I never walk away from a JoAnns without something! Plus, I can snuggle take a look at the yarn up close and in person, which is always nice. You can purchase a JoAnns gift card here, and you can purchase a Wool Warehouse gift voucher here! Subscribe and receive email updates of great blog content (like this!) straight to your email inbox. Who doesn’t love direct service like that? I’m all thumbs & lack the patience to do any of these things. But I do love the outcomes. My sister crochets. She’s pretty darn good. I love the blankets she makes me. Great page!